Is Your Church Ready to be a Community Hub? 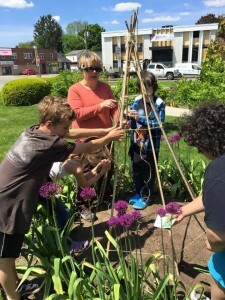 In 2015, then Ontario Premier Kathleen Wynne commissioned Karen Pitre to be Special Adviser on Community Hubs and to develop a framework for adapting existing public properties to become community hubs. Not only are community hubs vibrant centres of community life but are generating economic and social benefits as well. The downside is that government regulations impede the creation of more community hubs. A decade ago I began to wonder if there was anything churches could do to become a community hub that would benefit their local neighbourhood without getting mired in red tape. The government’s Framework and Action Plan describes a community hub as being: a public facility that acts as a central access point for a range of needed health and social services, along with cultural, recreational, and green spaces to nourish community life. A community hub can be a school, a neighbourhood centre, an early learning centre, a library, an older adult centre, a community health centre, an old government building, a place of worship or another public space. Whether virtual or located in a physical building, a high-density urban neighbourhood or an isolated rural community, each hub is as unique as the community it serves and is defined by local needs, services and resources. You see, renting space to many community groups is commendable but takes its toll on the building, volunteers and staff. Our grandfathered gravel parking lot takes a beating and should be regraded twice a year. Garbage, recycling and composting increases as well as the need to purchase supplies more often than before. Then there are issues of insurance and security, tracking payments and the use of the building by our own groups. At one point we had community groups using our building seven days a week while we were home to three other faith groups. It was difficult staying on top of everything. But I must say that most of the time the benefits outweighed the amount of extra work involved in our attempt to be a community hub. We are glad to provide water during summers of drought for Hamilton Victory Gardens to grow thousands of pounds of fresh vegetables for food banks throughout Hamilton. I learned a lot from them about their gardening techniques. 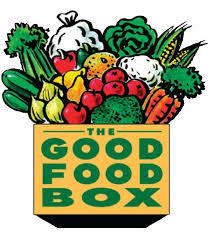 At our Good Food Box program people are more than a number; we know their names and we have become friends. 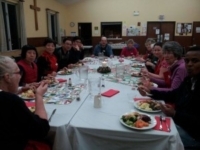 Even groups that only use our building seasonally take our close relationships back out into the community for even more people to benefit. There may be an economic return on being a community hub for your congregation through donations or rent, but there is an even greater social return on your investment of time and place. Becoming a community hub takes time to plan and develop and as the Special Advisor to the former Premier wrote, each community is unique. There is no blueprint other than the desire to be an active member of your local community and being as generous as you can in meeting the needs of your neighbours.